Last year, I decided to do several things to “educate” myself in hopes it might lead me to my next “thing” in life. I enrolled in Community College – but it didn’t take long for me to realize what a dumb idea that was. I’d been away from the rigors of school too long. THAT’S the “big lesson” I learned from that. But earlier in the year I committed to volunteering a few days each month at a local Food Pantry. Starting to get the sense that this is where my “big learning” took place? For months, I was too shy to work directly with the visitors to the pantry – I would smile and greet them while packing away food items in the back. It took a lot of courage for me to be ready to face them one-on-one and feel that I could answer questions with confidence and sufficient cheer. You see, I am a bit of a crybaby! When I see suffering, sometimes I cry. And I certainly did not want to repeat that horrific scene from 25 years ago when I broke down in tears in front of a Cancer Survivors group as their guest speaker! I was not expecting their faces to be so young – I panicked and suddenly the room closed in on me and I got hot and then the tears started rolling down my cheeks in spite of my wish to appear “professional.” It happens. Vulnerability. Compassion. It catches us by surprise throughout life. Well, it was never going to catch me by surprise again. So I remained in the back of the Food Pantry dutifully stuffing bags for people to take home. Until the day Margaret told me she needed me at the front counter. She was too busy to do her ordinary job at the Pantry that day and I had been there more than long enough to be able to check id’s and cross off names. I heaved a big sigh and headed over towards the counter. I tried not to let Margaret see the enormous panic I was feeling as the line outside the door began to grow. One by one, our visitors politely stepped inside our Food Pantry and graciously accepted whatever we had to offer that morning. Things were going really well. Until the thing that caught me off guard happened. Until the opposite of my “image” of what a Food Pantry patron ought to look like stepped up to my counter. He was in is early 40’s, very physically capable looking and quite handsome. And his smile and cheerful attitude would have made you think he was shopping somewhere really special. I realized I had a few misguided preconceptions about pride before this moment, too. As naturally as if we were longtime friends, he initiated the conversation, “Oh, my goodness! You have fresh apples today! I have already picked up my oats and my flour. Is that butter I see behind the apples, also,” he pointed toward the back of the table I was managing but that thing was starting to happen to me when I am caught off guard by big emotions – I could not see anything around me and I was getting hot!!!! Margaret noticed right away I was not myself and, fearing I might be afraid of this man, she answered very nonchalantly, “Yes, we have lots of free butter for you today!”. That helped, I had a moment to take a breath. The man smiled an even bigger grin and let out a robust laugh then said, “Suri is going to be so happy when she gets home from school today!”. Before I could ask, he started to tell me, “Suri’s my girl – it’s just the two of us. She’s five and she loves school. 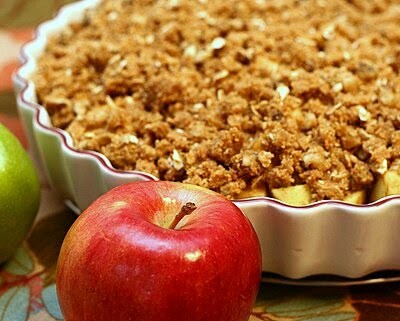 And more than that, she LOVES a fresh apple crisp!.” I began placing fresh apples and butter in a bag for the gentleman and my thoughts immediately went to my own children when I heard his words. I love baking for my kids, too – and I especially love surprising them with their favorite treats after a long day at school. We’re not so awfully different, then, from our Food Pantry patrons, are we? After Suri’s Dad was long gone and we were preparing to close the Pantry for the weekend, I noticed a slip of paper that someone had dropped in the hallway. When I looked at it, I recognized Suri’s Dad’s name and the date was the same day. Before coming to the Food Pantry, Suri’s Dad did something I’ll bet he hated – so he’d have weekend cash for his little girl. He had been to a Pawn Shop and left some dvd’s – and in exchange, he was paid $10.00 plus 423% interest due when he retrieved his belongings! But precious Suri would have her apple crisp and her Dad will have provided for his child – and experienced the joy we all do as parents when we are able to give our children special treats. He just had to pay a much bigger price than most of us to do it. This lesson is sticking with me. It makes me profoundly humble for all the abundance in my life. It makes me appreciate that unique feeling that not all parents can enjoy all the time – of being able to provide for my children. For to give really is much better than to receive!! !